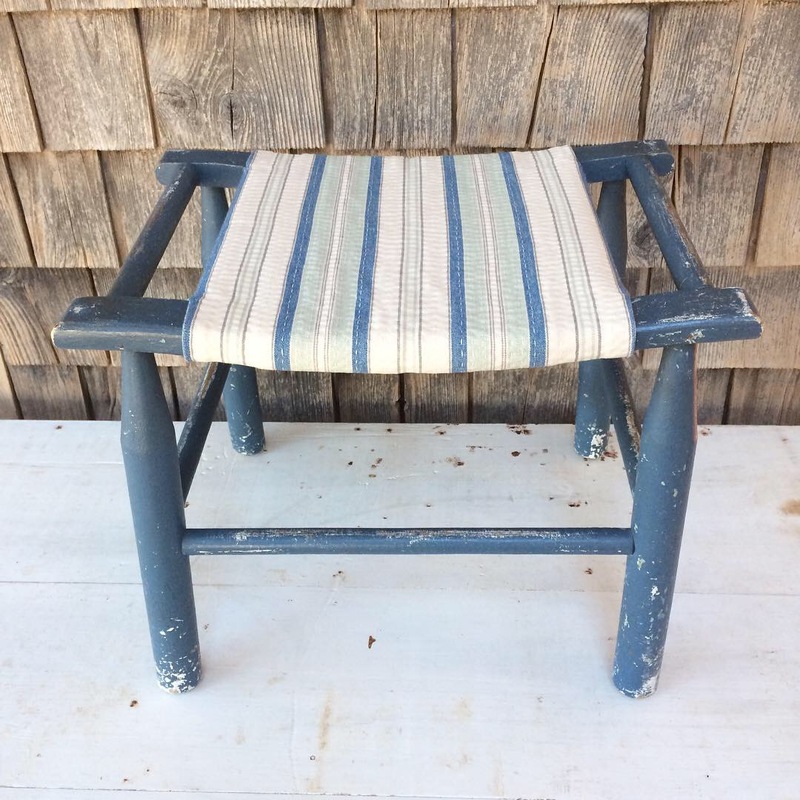 A little blue footstool–a vintage thrift store find–became the newest fodder for my latest stitching obsession. 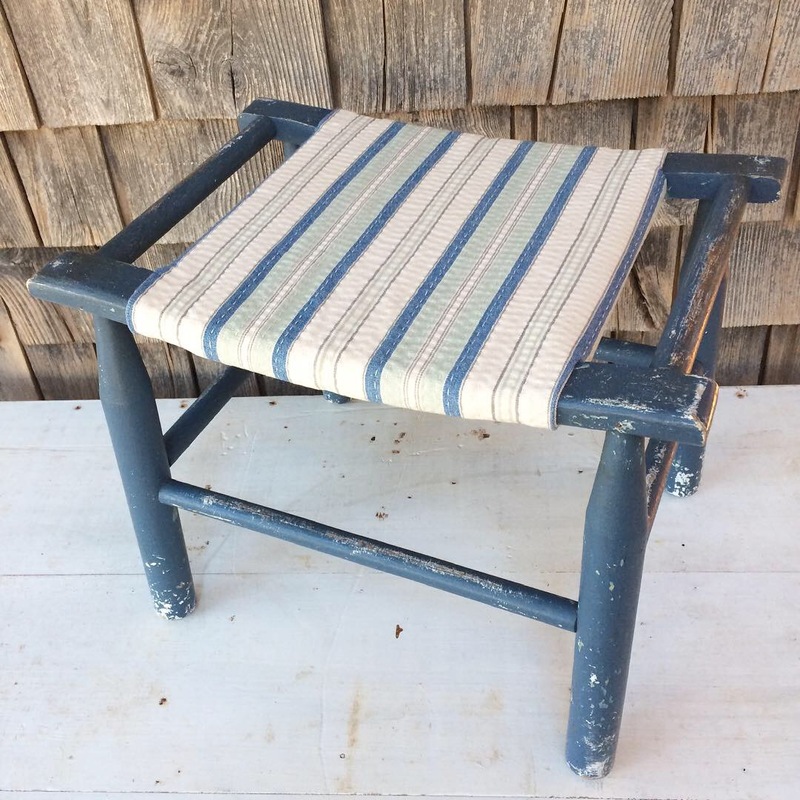 This cotton upholstery fabric finally earned its keep in my stash, pairing beautifully with the original paint of the stool. 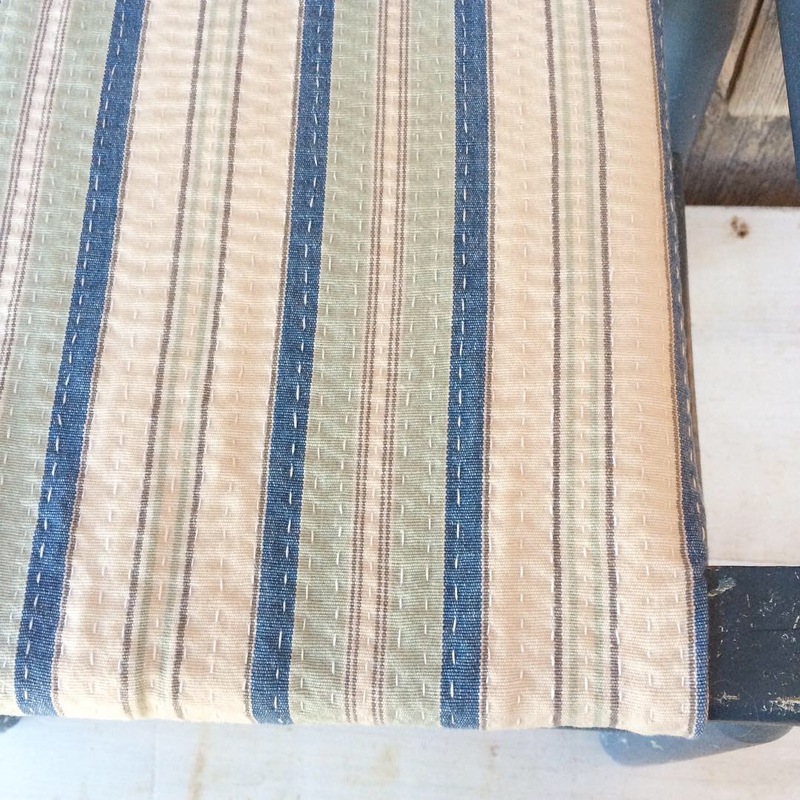 I love the texture the stitching gives. Vintage, Art & Handmade Vendors, Live Music, Local Food and Maine’s One and Only Fishin’ For Fashion Show! On the waterfront in East Boothbay, Maine. I’ll be there! Held outdoors and indoors on the 100 acre CUMBERLAND FAIRGROUNDS in Cumberland, Maine, Vintage Bazaar of New England will leave you wanting more! Over 200 vendors, from across the country, will feature antiques, vintage finds, architectural salvage, rusty junk, repurposed goodies, indie crafts and one-of-a-kind crafts. Eye-candy galore around every corner! And I’ll be there! I’m excited to be joining Vintage Bazaar New England for their next show, The Spring Special. It’s a fantastic event held in a beautiful indoor venue with loads of talented vendors. Hope to you see you there! We thought that when we left MA we left our beloved Vintage Bazaar behind, but wouldn’t you know it?? –They followed us to our new locale. Still a bit of a hike for us, but Devon, her talent, and her crew are so phenomenal it’s worth the effort. In honor of a show celebrating the vintage, I offer a vintage challenge—Be there or Be Square! 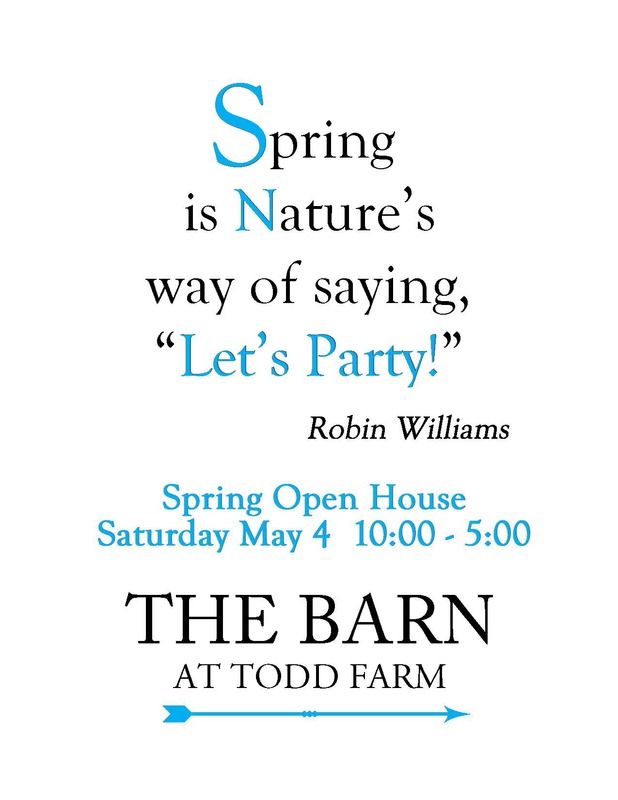 Visit the beautiful multi-dealer shop located in the historic barn at Todd Farm, Offering a fine collection of Antique, Primitive, Traditional, Farmhouse, Industrial, Mid-Century and Repurposed furnishings as well as a wide range of small accessories, handmade, and one-of-a-kind, for your collection and home. Join us for a free community gathering of creativity and friendship. Bring your favorite handwork project, snag a friend, and come on down for grand ole’ time.